The National Treasury Management Agency has sold €750m worth of Irish bonds at an auction today. 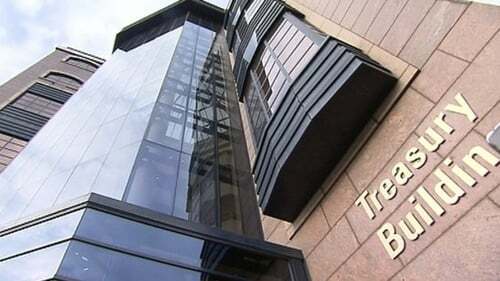 The NTMA said the auction of €350m of the 2023 bond and €400m of the 2028 bond concludes its bond issuance for the year. The bonds were issued at yields of 0.03% and 0.99% respectively at today's auction. The agency said the total amount of nominal bond funding this year is €17.25 billion, which is within its stated target funding range of €14-18 billion. According to the NTMA, a total of €11 billion was raised through the syndicated sales of three new benchmark bonds - with maturities of 10, 12 and 15 years. The third of these syndications - in October - saw the NTMA issue the country's first Green Bond, raising a total of €3 billion of 12-year debt at a yield of 1.399%. NTMA said the Green Bond formed part of its strategy to diversify issuance and access a new base of investors to lend to Ireland.